The 2012 Rocky Mountain Audio Fest will be held at the Denver Marriott Tech Center Hotel on October 12-14. Furniture will be removed from over 150 of the hotel’s sleeping rooms and manufacturers will set up complete stereo systems for attendees to audition. You are encouraged to go from room to room, have a seat and casually listen. In fact, feel free to bring your own iPods, discs or records to the show, as most exhibitors will be more than happy to play one or two songs of your favorite music. A variety of stereo equipment types will be demonstrated, ranging from affordable stereo separates and home audio systems to the ultra-expensive high end. The headphone community will be in the Rocky Mountain Event Center, so plan to spend some time there sampling the latest technology. Soundings Fine Audio Video will be teaming up with Boulder Amplifiers, Analysis Plus cables, and Vienna Acoustics to introduce the new Beethoven Baby Grand Symphony Edition to the US market. Now in it’s third generation, the new Beethoven Baby Grand Symphony Edition represents a perfect balance between modest size and a grand scale. 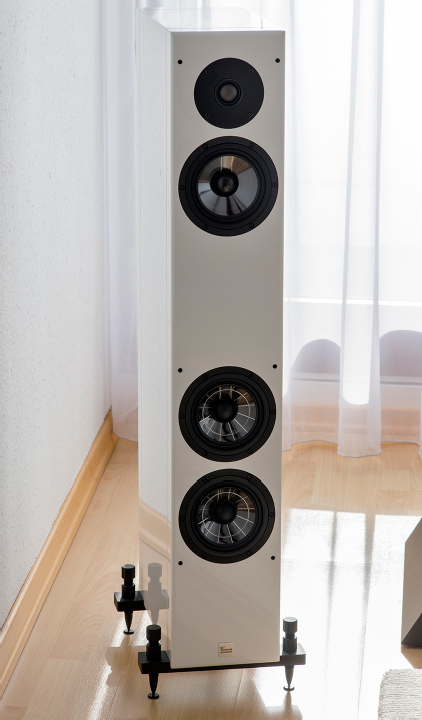 The Beethoven Baby Grand Symphony Edition speakers will be powered by a Boulder 865 150w Balanced Integrated Stereo Amplifier and Boulder 1021 Network Disc Player over Analysis Plus Big Silver Silver Oval speaker wire and Silver Oval-in interconnects. The 1021 is a networked, UPnP streaming-enabled disc player. Disc formats include CD, CD recordable and DVD recordables and file formats include WAV, FLAC, AIFF, ALAC, OGG Vorbis and MP3. Resolutions up to 32-bits or 192 kHz can be played. The Analysis Plus Big Silver Oval cable is very fast and detailed but without the harshness often associated with silver cables. It now has the punch in the low end with the incredible mids and highs that people have come to love in the Silver Oval. Please visit us at the Denver Rocky Mountain Audio Fest in room #457 on the 4th Floor at the Denver Tech Center Marriott. Soundings showroom will be open during the show on Friday and Saturday with a lot more stereo & home theater systems to listen to. We will also be hosting an open house at Soundings Fine Audio Video showroom on Saturday night starting at 6pm.